We develop, acquire, and manage retail centers across the southeastern U.S., and during our 30 years in business, every project and every property we’ve managed has been successful. Interested in leasing space at one of our existing retail centers? We have high-performance retail properties in prime locations in Virginia, North Carolina, South Carolina and Georgia. 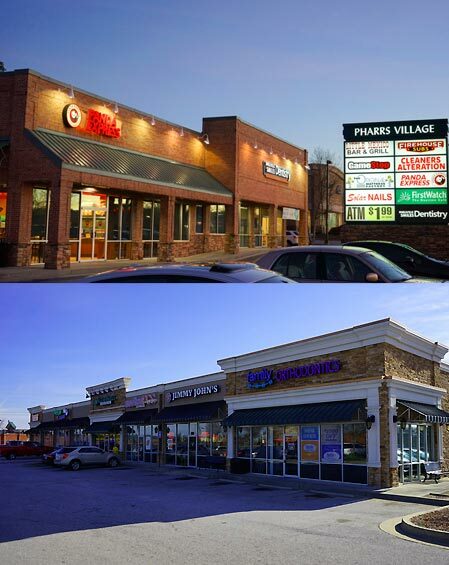 Identifying the right opportunities in retail center development and acquisitions. In bricks-and-mortar retailing, location is key, along with the right mix of high-quality retailers and business operators that will satisfy the needs of the local market. With 30 years of retail development experience, Chase Development is sharply focused on identifying the right opportunities. We develop our own retail properties from the ground up, with a tried-and-tested method for taking a project from concept through completion. We also acquire existing retail properties that we lease and manage, providing a level of service to both tenants and customers that insures a high-performing center. In either scenario, we know how to accurately assess a property’s potential for success—and during our three decades in business, every project we have developed and every property we’ve acquired and managed has been successful.